Hair loss can be associated with several health issues along with chronic deficiency of vital nutrients. Often, hair loss due to iron deficiency occurs at a slow and subtle pace. Seek to address the iron deficiency issue first to avoid associated health complications. Hair loss can be associated with several health issues along with chronic deficiency of vital nutrients including iron. If hair loss is diagnosed to have been caused due to depletion of iron levels in blood, you need to think twice before consuming supplements because hair loss due to iron deficiency can be an early sign of the prevalence of a more serious disease. Reportedly, almost 60% cases of iron deficiency are associated with underlying diseases of a serious nature. Therefore, a thorough medical check-up should ideally be conducted. 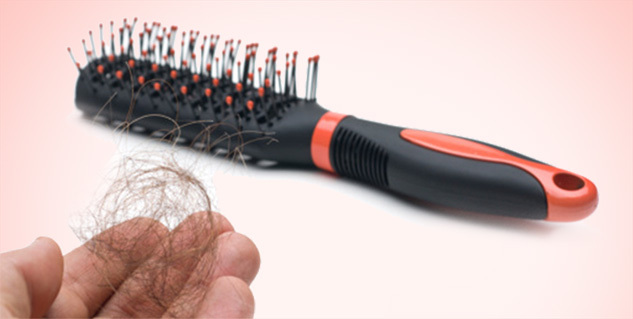 Often, hair loss due to iron deficiency occurs at a slow and subtle pace. The volume of hair may thin out gradually through months or even years. This will be a more common phenomenon in women of child bearing age on account of menstruation cycle and pregnancy. Iron is primarily found in blood. During menstruation, a woman loses 10 to 15mg of iron through blood and the loss may be around 600mg to 1000mg during the course of pregnancy and child birth. Clearly, hair loss associated with iron deficiency will be common in such candidates. The most vital function of iron is to make haemoglobin, which is the oxygen carrier. Iron also helps in making myoglobin. It has an important role to play in carrying out the vital body functions including the growth and maintenance of hair strands. If food intake is unable to replace the energy requirement of the body, other non essential energy stores and reserves get used up for the same. These non essential sources include hair cells since they do not have a crucial role to play for sustaining life. Various levels of iron deficiency can be associated with hair loss. There may be low stores of iron in the body that normally do not lead to clinical effects. Iron depletion, which is characterised by low haemoglobin concentrations, will be the next step. This can be corrected by enhancing the intake of iron. The third and final stage is anaemia or significant loss of iron that requires immediate medical attention. All these levels may be manifested through marginal to heavy hair loss. Hair loss and iron deficiency are two interrelated problems to deal with that might warrant equal medical attention. Seek to address the iron deficiency issue first to avoid associated health complications. Remember that supplements must only be administered in accordance with the advice of the doctor. How can one prevent Iron Deficiency?